Fezile Dabi District Municipality mayor, Max Moshodi, has vowed that the municipality will escalate its funding for HIV/AIDS programmes and people with disabilities. Moshodi made a commitment during a function where he met people with disabilities. The municipality has allocated R600 000 to special programmes dealing with women, children and people living with disabilities. 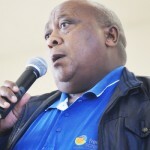 The mayor used the meeting to encourage disabled people to participate in the draft budget meetings of the municipality so that they can make inputs aimed at improving their living conditions. He said the municipality intends to increase the budget for special programmes to accommodate the growing needs of people with disabilities in the district. Last year, Moshodi handed out half a million rands to organisations working with people living with HIV/AIDS. The district municipality is planning to embark on an outreach programmes to inform residents about the services and programmes it offers. Municipal manager, Lindi Molibeli, said many residents were excluded from government services due to lack of access to information. He said the district municipality will put special focus on people with disabilities during this financial year. 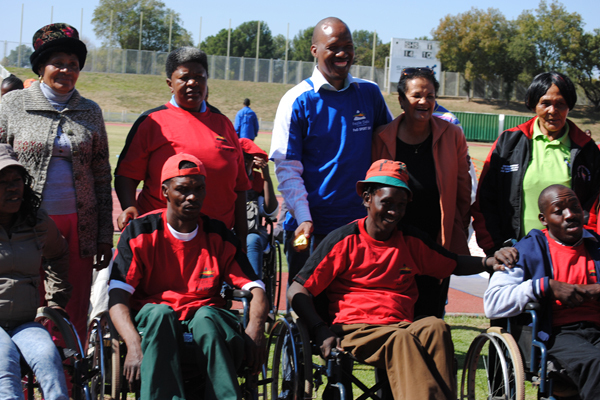 “We have a budget of close to R700 000 which will be used to assist people with disabilities. We will also fund their projects so that we can help them make something of their lives. Most of them depend on the disability grant they get from government and that is not enough to sustain them,” she said. Molibeli said the municipality intends to allocate 30 percent of the R1-million set aside for bursaries to students living with disabilities. The municipality, in conjunction with the department of social development, plans to build a school that will accommodate people living with disabilities. Bartemea School of the Deaf and Blind in Thaba Nchu is the only specialised school for the disabled in the Free State.